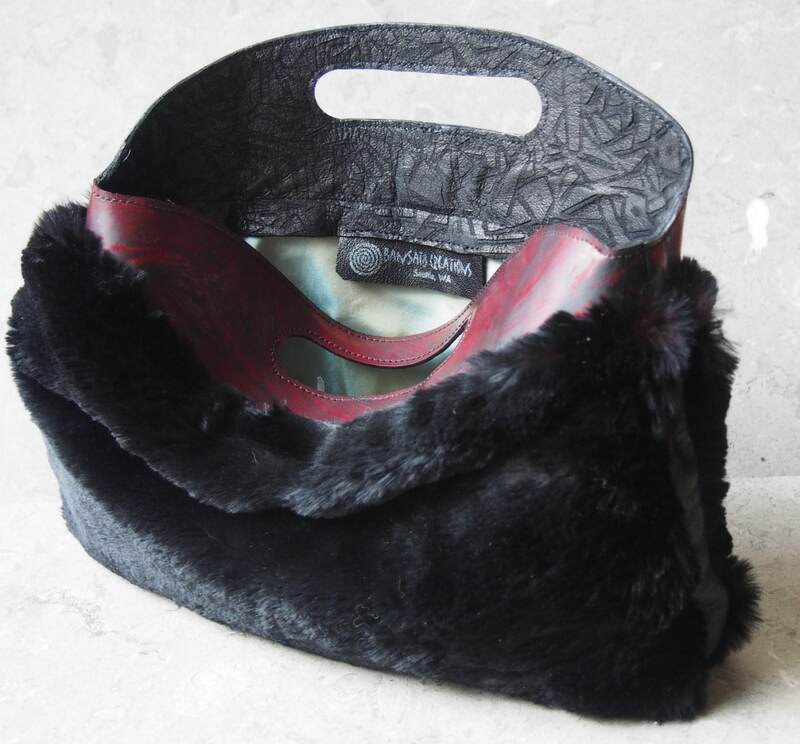 This luxurious and unique clutch is made with high quality vintage sheared and black dyed beaver fur and new goatskin gusset and unusual red on black glazed calfskin handle, and is lined with sky blue silk taffeta ( heavy weave as used for high-end adrapery). I've repurposed (up-cycled) the beaver from a pre-1950s vintage coat--the pelts are in excellent condition, and the thickness of the pelt and silkiness of the fur is only as can be achieved with sheared beaver. (I did much research to confirm that it is indeed beaver--rabbit, or coney, often looks similar, but is not as dense a fur, and the thin skins just don't hold up like this coat). The coat was one that was very well loved and cared for, and I hope that translates into this clutch. I only use pelts that are still strong and supple. Beaver was typically dyed, and sometimes vintage pelts have areas of slight color variation and "sun burn" over time--this is not a defect, but inherent aspect of dyed vintage fur. "Sheared" means all of the top guard hairs have been removed, and the underfur is a single consistent length, and is very soft and plush. I've added a 1" wide gusset of a distressed finish black goatskin to wrap around the body, which is darted to join with the unique ox-blood red brush strokes on black glazed and firm calfskin I used for the handle. 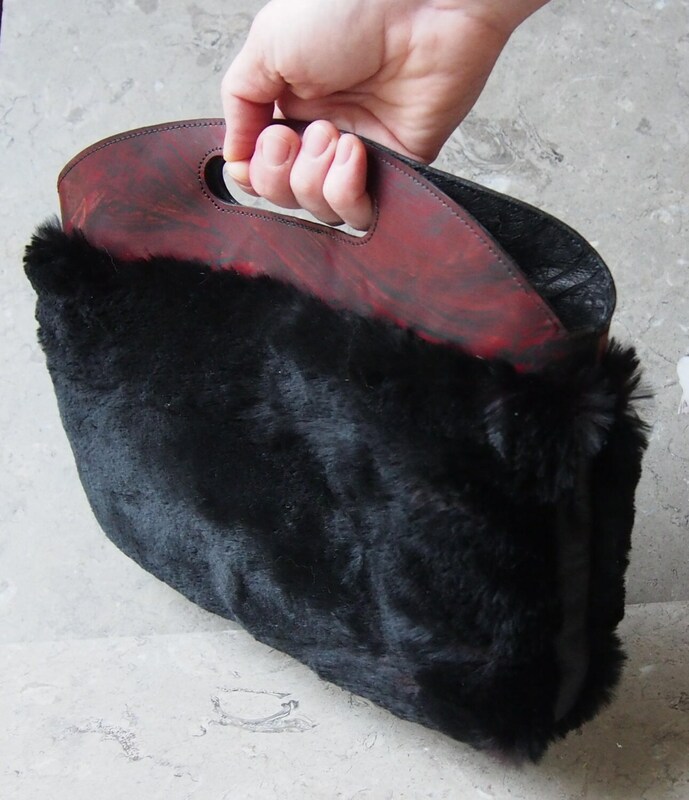 The handle is lined with a stylized rose embossed lambskin suede, and the bag is lined with a light blue silk taffeta. (Note there is a 4" high candle inside the bag in picture #4 to open up the interior for the photo). I have inserted strong "money clip" style magnets between the handle and its lining, so you can't see them, and they are centered below the finger slots, to keep your contents from spilling out if you lay this down on its side. Details: Body is 6 1/2" high and about 9" to top of handle, and 11" wide. 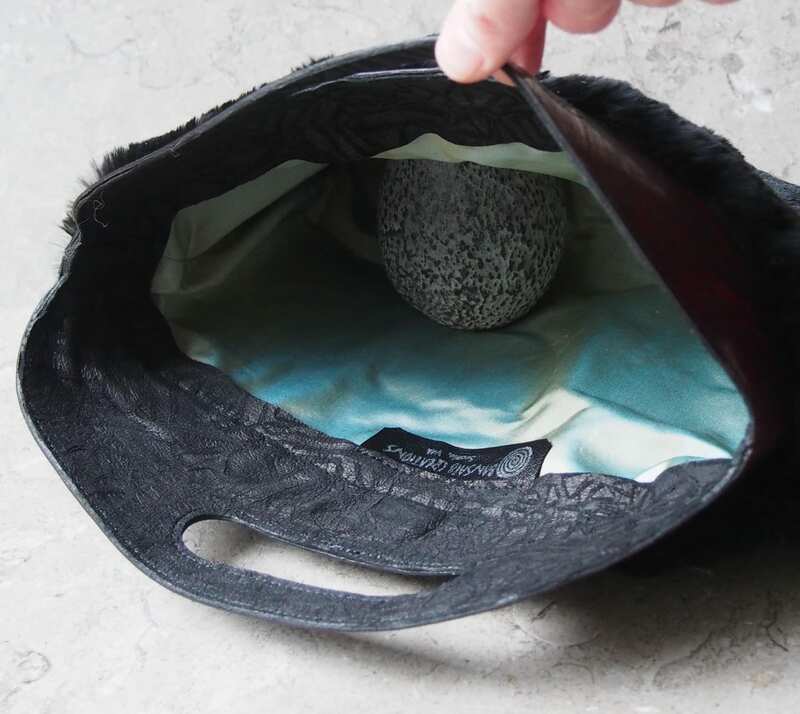 The gusset means it is about 1 1/2" wide, so plenty of room for most necessities, even a small tablet! 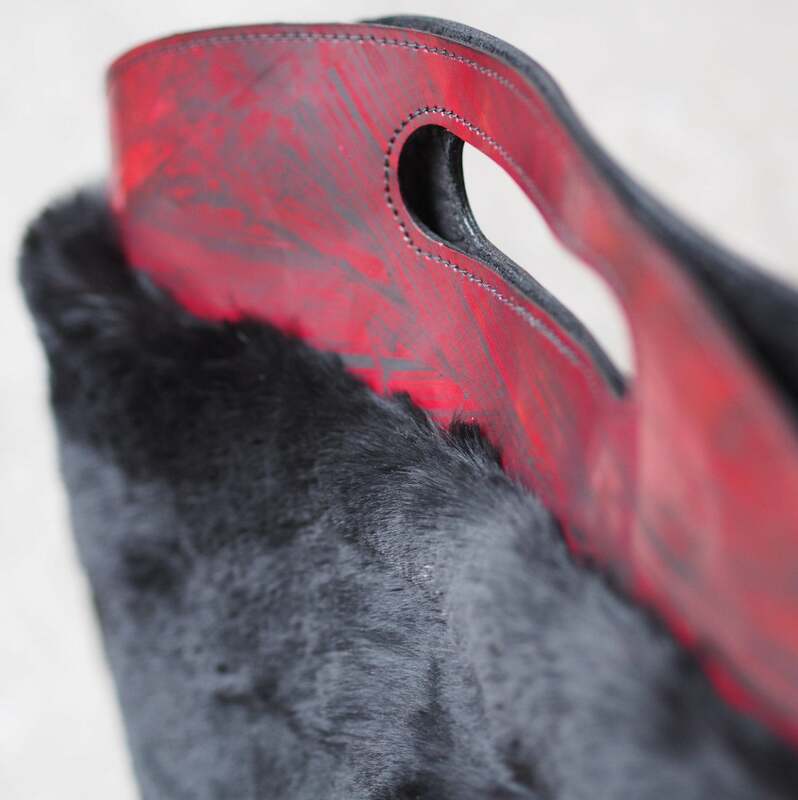 I have added stabilizer along all edges of the fur to support the stitched areas, as well as the design with the gusset minimizes stress on the vintage pelts themselves. All of the other materials in the clutch are new.